Hi! I’m Laura from Peace but Not Quiet — I blog about kids’ activities, recipes, crafts, and the general adventures of our family of six. One of my favorite things to do with each of my four children, when they were babies, was to cuddle up and read with them. The benefits of reading to babies are huge — they’re processing that you love them, you’re holding them, and you’re introducing them to words and phrases you probably don’t use when you talk to them. Even though they don’t actually talk yet, all these things are hugely important for their development. Also? There’s nothing better than a snuggly baby, wrapped up in blankets and jammies, ready to read a few books before bed. My youngest is now four, and our nighttime reading is still one of my favorite times of the day. The older kids who can read on their own will still clamber up on the bed next to their little sister and listen to me read. 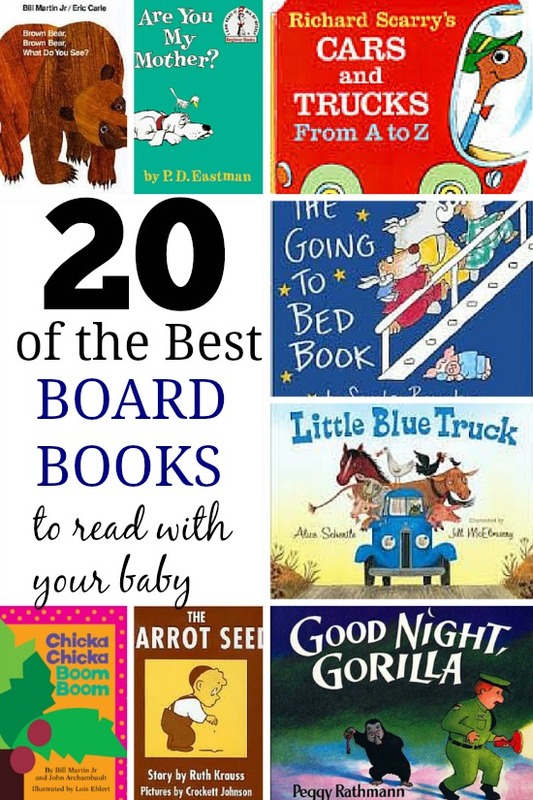 I love board books for babies, because you can let them hold and play with the books (and put them in their mouth!) without much damage to the books. They begin to learn how to treat books, and they can look at the pictures and amuse themselves. They make wonderful presents for babies! 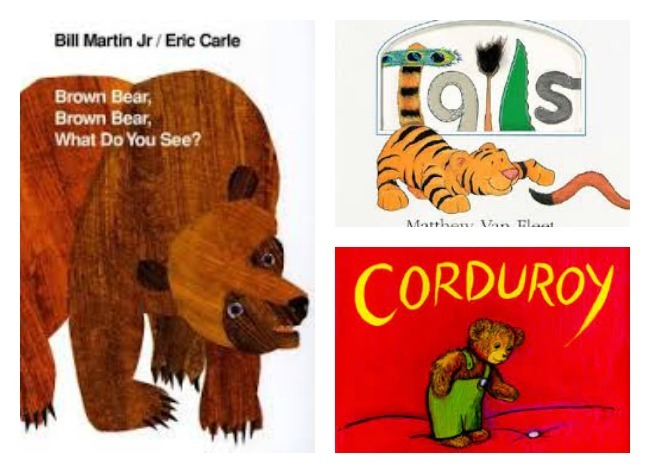 So to get started — here are 20 great board books to read with your baby. Good Night Gorilla by Peggy Rathmann — a story about a mischevious gorilla who is supposed to be going to sleep. A great story, told — believe it or not — with almost no words. Goodnight Moon by Margaret Wise Brown — a classic. You just can’t go wrong with this bedtime book. The Snowy Day by Ezra Jack Keats — a little boy and his adventures on this snowy day. No Two Alike by Keith Baker — I LOVE this story, which celebrates how we creatures are both similar and at the same time, all our own people. And the illustrations of birds and other animals are beautiful. Tails by Matthew van Fleet — such a fun book, with lots of tabs to pull, flaps to look under, and different textures to feel. Chicka Chicka Boom Boom by Bill Martin Jr. and John Archambault, illustrated by Lois Ehlert — another classic. If you can find the audio book version with Ray Charles narrating, do that, too. It’s magical. Freight Train by Donald Crews — beautiful and colorful, with simple words telling of a train’s journey. 5 Little Monkeys Jumping on the Bed by Eileen Christelow — oh, those monkeys! You knew they’d cause some trouble…a fun, repetitive book. And I always end up sympathizing with their poor mama by the end. We mamas all just want to sleep at night. The Carrot Seed by Ruth Krauss — my children still love this one, especially now that it’s growing season. A little boy perseveres in watering and weeding his carrot, even though everyone around him tells him it won’t work. Spoiler alert — it does! Corduroy by Don Freeman — another classic, about an adventurous teddy bear who finally gets a home of his own, and a girl to love him. And a button for his overalls, thank goodness. Bear Snores On by Karma Wilson — Bear is always going on forest adventures…except this time he’s asleep after a long winter. Will he ever wake up? Or will he continue to snore on and on and on? Little Fur Family by Margaret Wise Brown — a sweet book about a loving mom and dad and their little fur baby. Perfect to read to your own little baby just before putting them down to sleep. 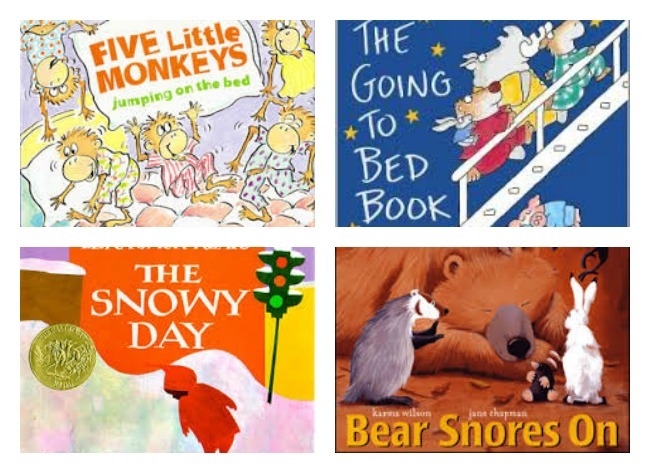 So those are some of our best-loved baby books — do you have a favorite book you read with your little one? I’d love to hear about it in the comments! Laura is a mom of four kids twelve and under, and author of the Peace but Not Quiet blog. She runs, loves terrible puns, and is happiest getting the family in the car for ridiculously long road trips.